Wassi's Cream Pies are the BEST. What ever your favorite might be, guaranteed that we make it, as well as some that you have never thought of. 10" deep dish, all are topped with cream. Peanut Butter, Chocolate Peanut Butter, Chocolate Silk, Chocolate Banana Cream, Banana Cream, Coconut Cream, Florida Orange Cream,Key Lime. Others available upon request. Wassi's Fruit Pies are baked fresh to order, using traditional recipes and fresh ingredients. $13.99Fresh Bananas, Creamy Banana Pudding and Whipped Cream make this pie one of our customer favorites NOTE: Any pie ordered on line must be picked up in the store. We cannot ship. Also must be order 1 week in advance. 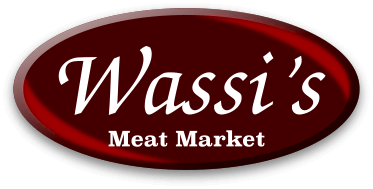 So if ordered on Sunday, will not be ready for pickup until the follow..
$13.99/$14.99 CALL TO ORDER Wassi's Fruit Pies are 10" deep dish pies are a tradition for Thanksgiving & Christmas. Best to order in advance-- Apple, Apple Caramel, Cherry, Blueberry, Peach,Triple Berry, Mincemeat($14.99), Blackberry($14.99), Raspberry($14.99) Pecan Pie $15.99..
$15.99This rich, old-fashioned dessert is a staple in the South. A recipe that is handed down generation to generation. A Wassi Family favorite.This item cannot be shipped. Local store pick up ONLY. .. Perfect combo of Chocolate, Peanut Butter, Caramel & Nuts (and SNICKER Candy) with whipped cream..